ENGINEERS: Affiliated Engineers Metro DC, Inc.; Barber & Hoffman, Inc.; The Gateway Engineers, Inc. DESCRIPTION: The Graduate School of Public Health is located on a main thoroughfare that runs the length of the University of Pittsburgh’s urban campus. 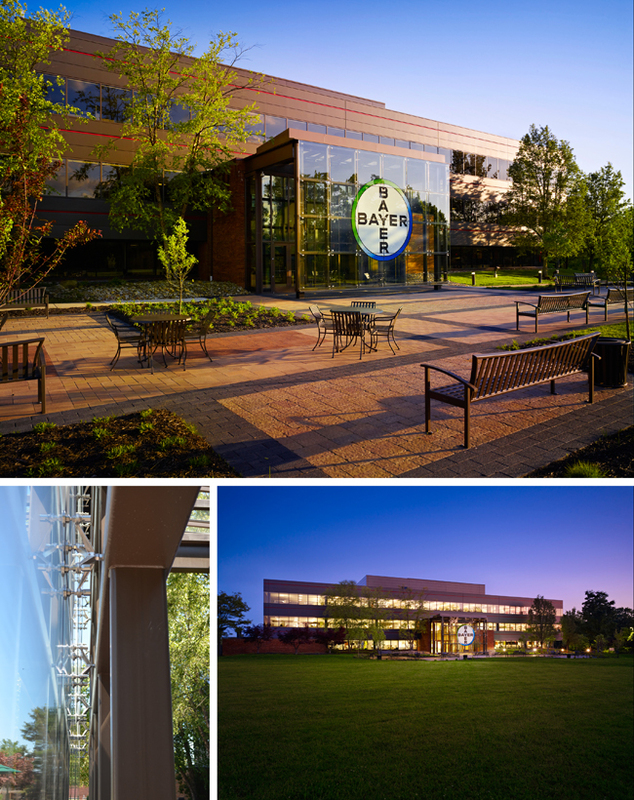 The University sought a building that would establish a real presence for GSPH in the community and reflect the significant research occurring within. By designing an elevated addition with extensive glass facades, the building showcases the school’s activities along the main avenue; the transparent facades eliminate barriers between the researchers and the outside world. 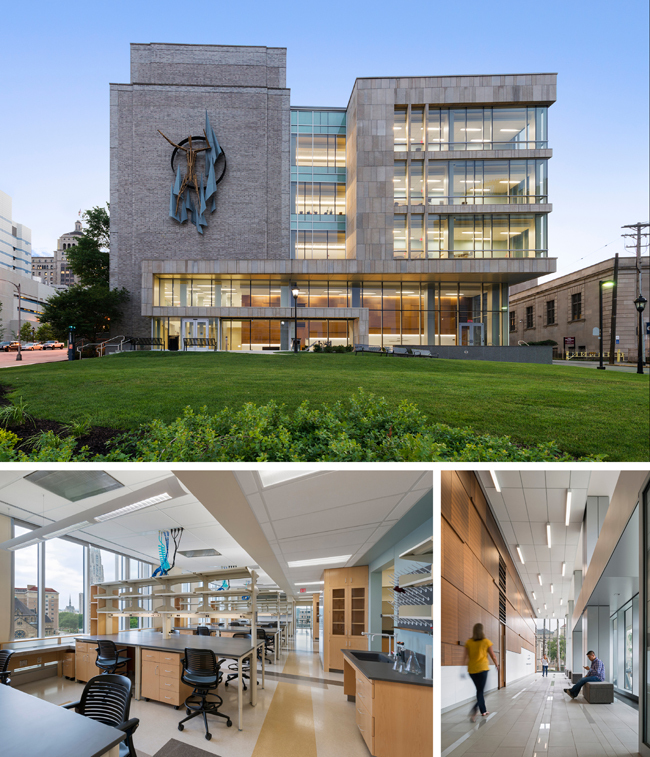 While maximizing sunlight, the new lab addition provides flexibility for researchers and the design was crucial in creating a welcoming and inspiring atmosphere. JURY COMMENTS: This is an addition to an existing building that creates a unified building expression. It has a strong civic quality and the materials are well considered. There is a pleasing façade rhythm. The building is clearly organized and the addition enhances the original facility. ENGINEERS: Thorson Baker & Associates, Inc.; Karpinski Engineering, Inc. DESCRIPTION: Originally designed in 1963, Leunter Commons exemplified mid-century modern architecture. 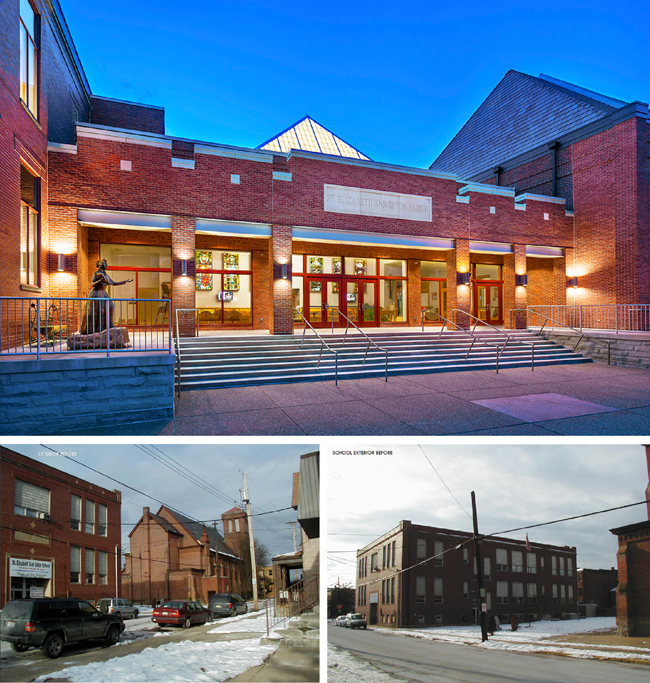 While the building had undergone updates over the decades, there were many factors that necessitated a renovation. These challenges were addressed while acknowledging the original building’s architecture and context. The new construction was designed as an extension, rather than an addition, by maintaining the original material palette, rhythm, proportions, sightlines, and the expression of horizontality of the existing building. JURY COMMENTS: This project is simple and self-confident, commensurate with the existing building. The enhancements are function driven influenced by the architecture of the building. The solution shows great restraint and did not overreach. 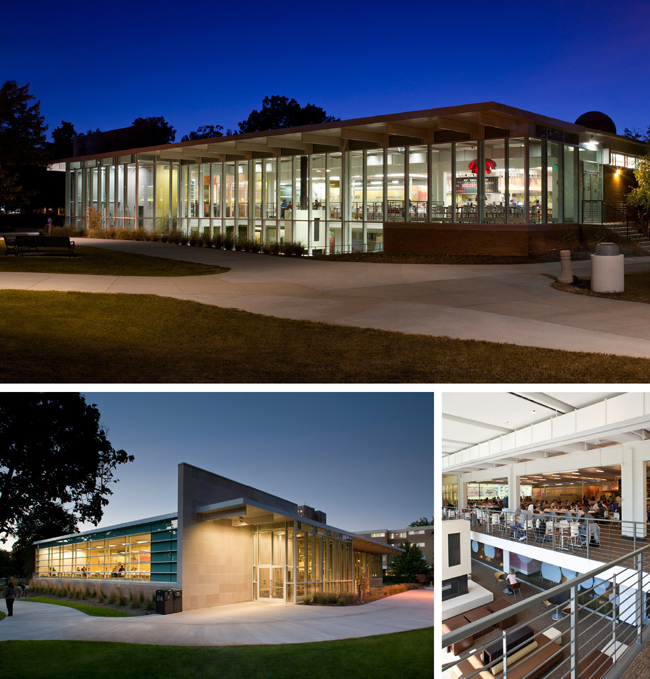 The project is transformational while positively engaging its campus context. There is a very nice resonance between the building and the program. 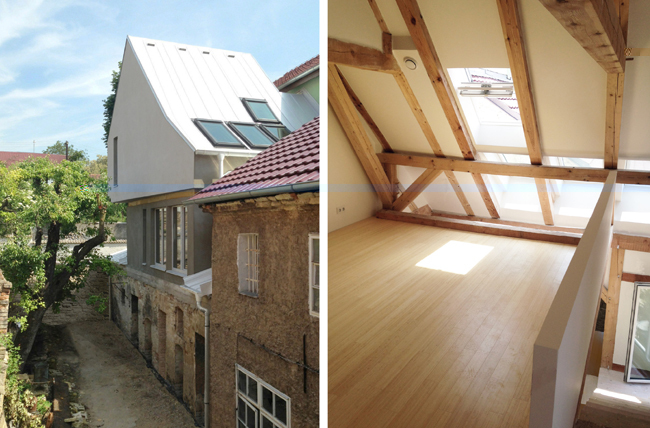 DESCRIPTION: Located 30 miles north of Prague, Czech Republic, the House was to be a retreat, a private yet open space, full of light. The energy efficient 1200 sf residence is modern yet contextual, blending with the abandoned single-story structure for housing pigs and chickens on which it is built. JURY COMMENTS: This looks like a fun place to live and it is also laudable that it is a passive house. It is an honest, yet modest, project with an appropriate level of craft and detail. CONTRACTOR: Bridges & Company, Inc. DESCRIPTION: During the design of the Building 14 renovation, it became apparent the existing lobby was insufficient and an expansion for a new lobby was necessary. 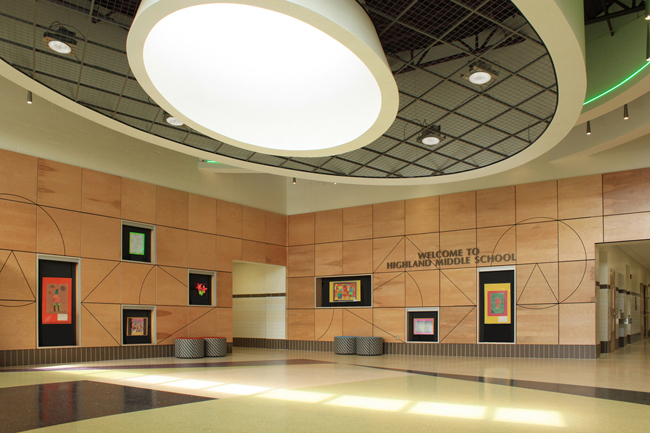 Expanding the lobby provided an opportunity to enhance the building entry. The design alludes to a traditional ‘porch’ as a welcoming gesture. The selection of materials and how they are joined and supported heightens the experience of place and provides visual interest at an intimate scale. Originally an afterthought, the new entrance has become a centerpiece for the building and the surrounding campus. JURY COMMENTS: This is a restrained and elegant intervention on an existing building. It was done very honestly. The architects enhanced the building by creating a stronger entrance. 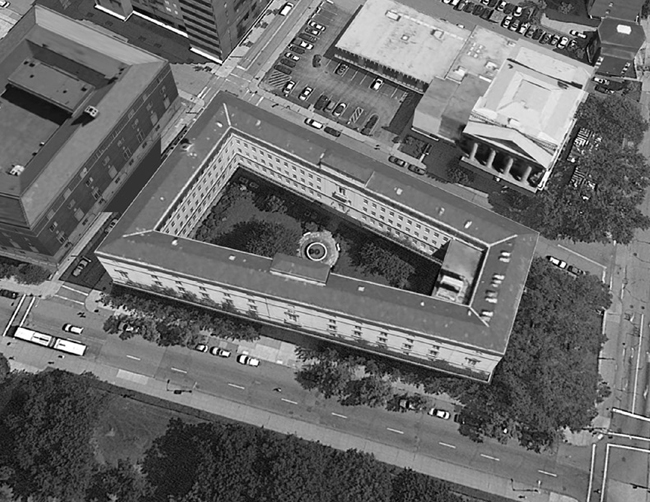 The plaza engages the landscape and the jury liked the interaction between it and the building. The pavilion and entry procession integrate nicely with the outside, landscape and parking. PHOTOGRAPHER: TAKTL LLC and Massery Photographery, Inc. DESCRIPTION: Gateway Rehab is a recognized leader is the prevention, education, and research of substance abuse and addiction, but their campus needed a new, freestanding building to serve young people. The project is focused on the creation of three pavilions representing Self, Family, and Hope. Connecting the pavilions is a central courtyard and The Bridge, which is the point of separation and reunion between youth and their families. JURY COMMENTS: We liked how this building reflects the hillside. The architect took care to leverage the view. There is a simplicity, but clarity to the composition. 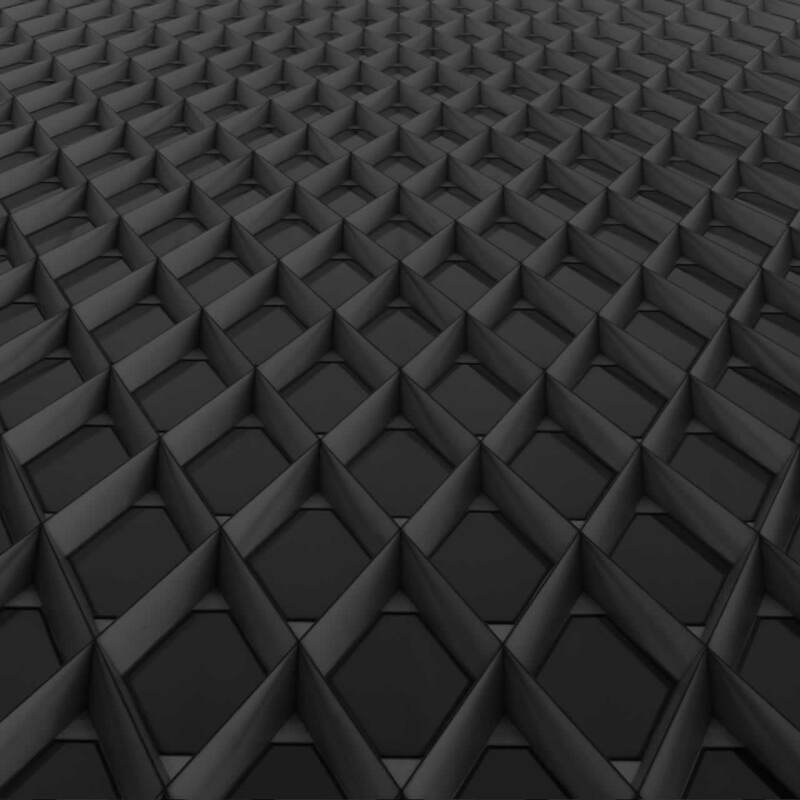 The panels add a textural quality to the building. The interiors have a nice use of daylight. DESCRIPTION: The South Highland Avenue Bridge connects the neighborhoods of Shadyside and East Liberty, designed to be a meaningful civic space for pedestrians. From concept to construction details, the new Bridge uses a standard kit of parts to create a unique space that enhances function and placemaking. JURY COMMENTS: Pittsburgh is a town of bridges and this is a good example of celebrating the bridge. 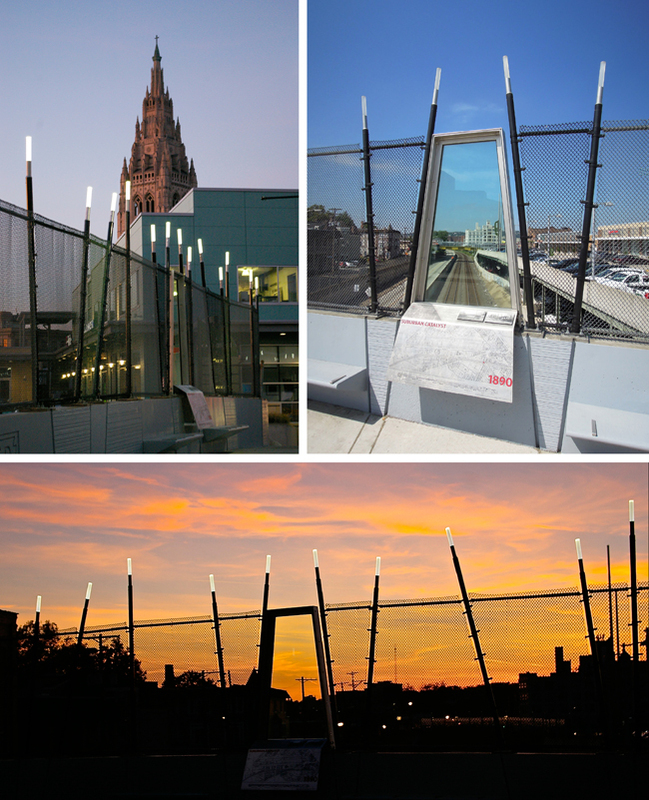 The architect used lighting and a variation in the fence design, veering from common DOT standards in a way that enhances the pedestrian environment. They also tied the history of the area with interpretive panels. This project speaks well for the client who got a very affordable solution. PHOTOGRAPHER: Rothschild Doyno Collaborative and Massery Photography, Inc. 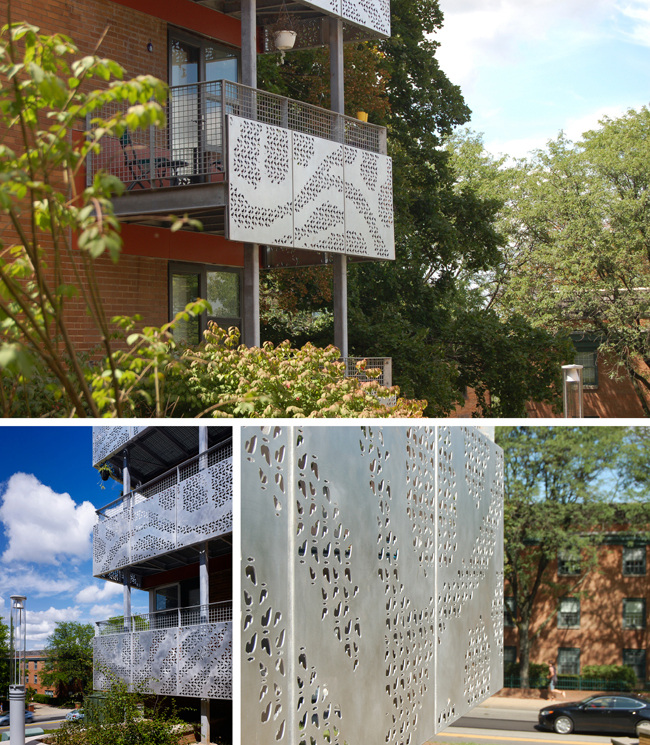 DESCRIPTION: With a nod to the client’s long commitment to the environmental movement and alumnus Rachel Carson, her writings on the topic of monarch butterflies became the inspiration for the very visible balconies on this campus residence hall. JURY COMMENTS: The jury was impressed with how this project transformed and greatly enhanced the existing building. The project stands on its own, and enlivens the entire site. This solution leverages an aged building failure to be much more than a simple in-kind repair. 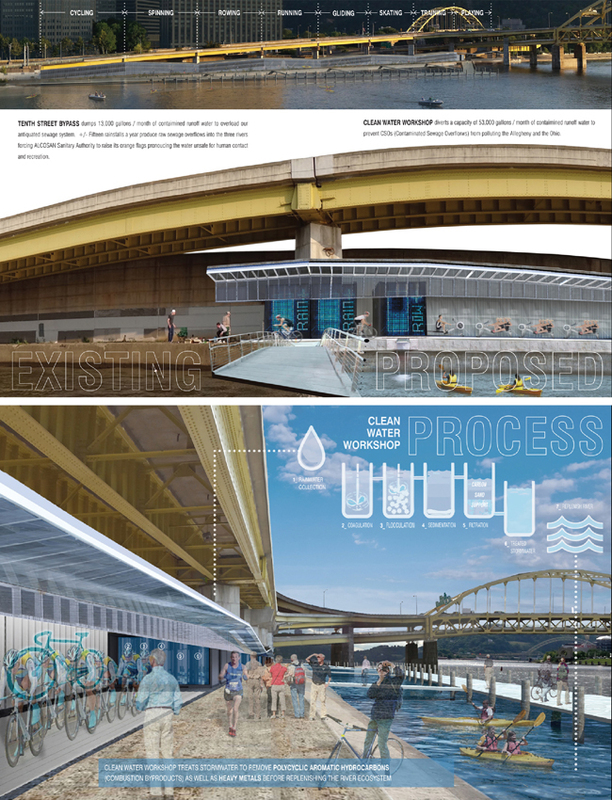 DESCRIPTION: Pittsburgh Projects is a digital architectural guidebook and mobile application designed to connect Pittsburgh residents and visitors with information about the city’s built environment. As Pittsburgh’s first digital architectural guidebook it is a mobile educational tool that combines rich content, striking graphics, and thoughtful interaction design, showcasing a curated selection of Pittsburgh area buildings as well as industrial and infrastructural sites dating from the city’s founding to the present. JURY COMMENTS: Now in beta testing, this digital guidebook app will be a great resource that lets the public enhance their knowledge of Pittsburgh’s architectural heritage. DESCRIPTION: Due to three major factors – vacancy, view, and affordability – Pittsburgh’s housing situation is ripe with the opportunity to leverage privileged views and increase thermal performance. 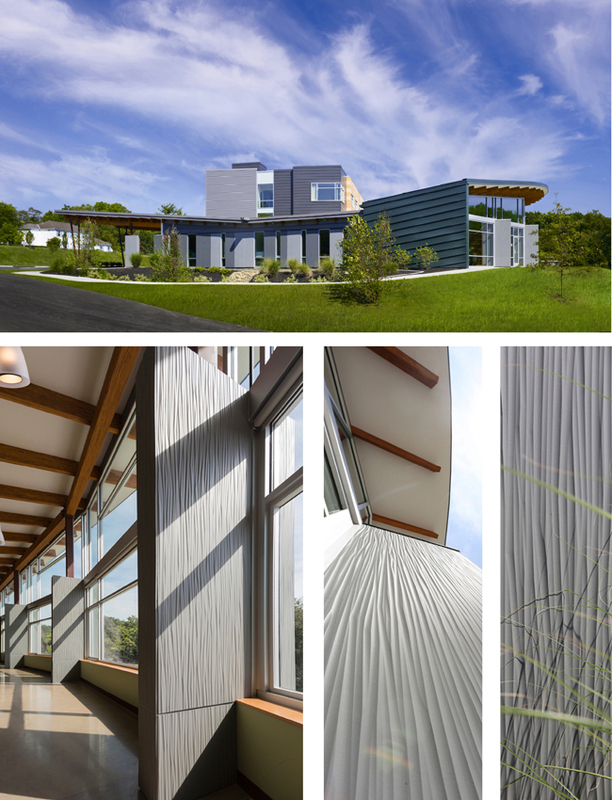 The RE_VIEW wall system was designed to create expansive views, improve energy efficiency, and bring aesthetic features that all add to the market value of a home while being easily replicable. Features such as prefabricated modules, high density insulation, and an in-depth understanding of construction and installation methods were all considered to evaluate the effectiveness of the RE_VIEW system. 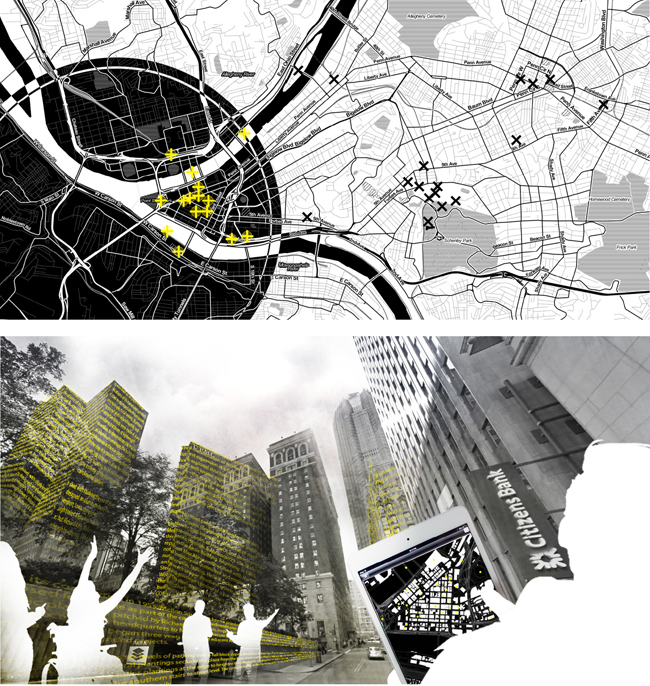 JURY COMMENTS: The jury appreciated how the project encompasses urban analysis, architectural detail, sustainability, and also, ideas about fabrication while tying them together in a convincing way. This purposeful innovation to makes existing houses more useable and livable. The jury also awarded the Green Design Citation to the project because it can repurpose and bring new value to existing housing, offering an alternative to demolition and replacement. DESCRIPTION: PNC Bank sought a partner to re-envision 500 Smithfield and transform the windowless former bank to a modern call center. 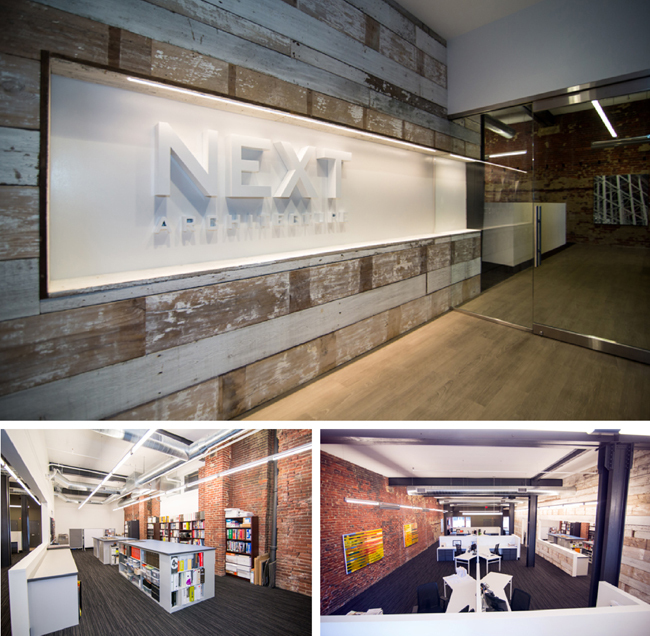 Original windows were restored and reopened to bring natural light into the work, collaboration, and meeting spaces. Many wall finishes, including large marble slabs, were kept and integrated with the new finishes. 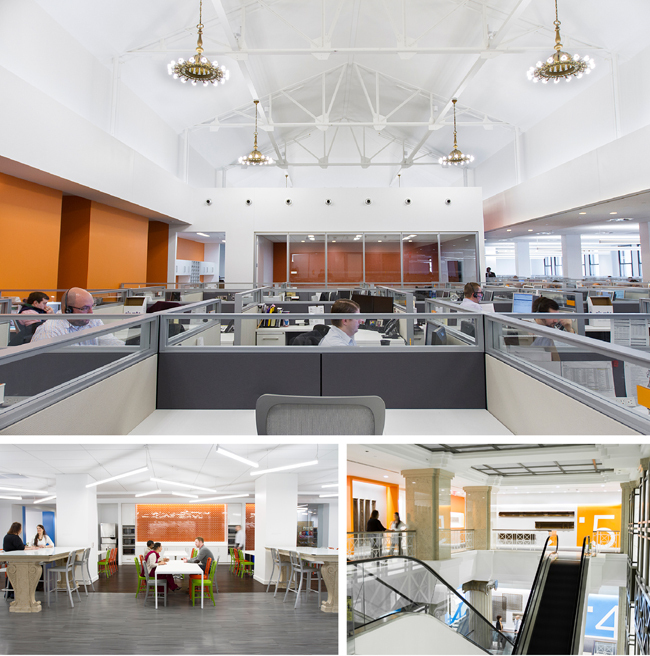 Thoughtful programming completes the transformation of the former 1920s bank and creates a new benchmark in call centers for PNC. JURY COMMENTS: This project leverages the existing qualities of the building. The result is that this outstanding building will be retained as a vibrant use in the city. CONTRACTOR: Jendoco Construction Corporation; FJ Busse Company, Inc. ENGINEERS: Wilson Lawler Engineering; LLI Engineering, Inc. 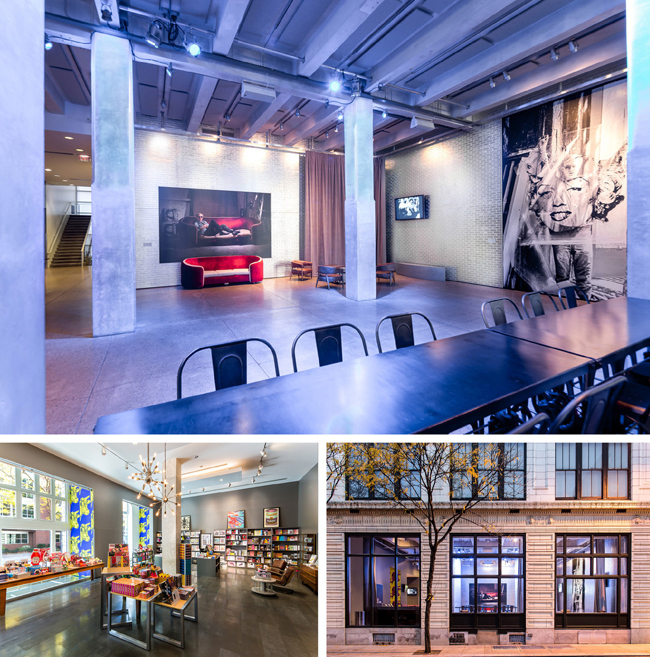 DESCRIPTION: To mark its 20th anniversary in 2014, The Andy Warhol Museum underwent a major renovation, including the entire ground floor. Warhol’s original “Silver Factory” in New York City served as the project’s inspiration, stylistically as well as functionally. The main lobby’s sterile white walls were replaced with faux silver brick. Theatrical lighting and curtains also make the space multi-functional. JURY COMMENTS: The redo of the space seems to respect the quality of the existing structure while accomplishing the changing programmatic needs of the client. The architect used deference and a light touch that is appropriate to the building, while respecting Richard Gluckman’s work. ENGINEERS: Farris Structural Engineers, LLC; Thorson Baker & Associates, Inc. DESCRIPTION: Rumfish Grille is a prototype restaurant blending a seafood restaurant with an outside garden bar. The floor plan is set on axis with the setting sun to create an interior orientation and connection to the exterior bar and natural phenomenon. The concrete wall serves as a strong signature element starting in the front vestibule and continuing through the seating area and into the outside space. JURY COMMENTS: The project has a good inside/outside quality where the inside extends in a pleasant way. The theatrical nature of this project completely transforms the experience. 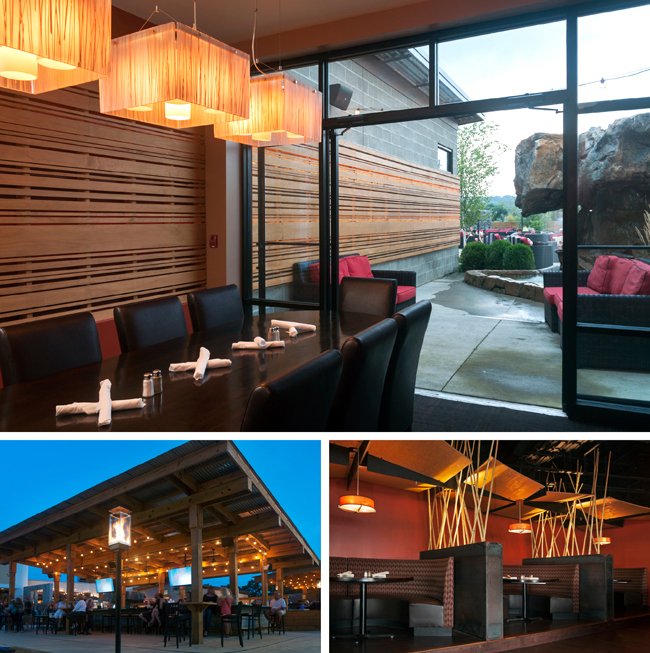 It is as if the restaurant was in its own world instead of an existing strip mall. DESCRIPTION: 1133 Penn Avenue is a 4,500 sf renovation of existing office space. The 100+ year old building was originally occupied by a baking supply company and most recently housed a major accounting firm. The project’s scope converted the ground floor into a common building lobby and a design firm’s offices. JURY COMMENTS: The jury appreciated the expression of the materials and exposed brick walls. The architect used a limited palate, taking advantage of what was there and making it an enjoyable workspace. The space is very loft-like; and so, the exposed structure feels appropriate to its function. DESCRIPTION: This Strategy Study was the first significant planning effort dedicated solely to Upper Lawrenceville, or the 10th Ward. Through a series of community charrettes, a neighborhood identity was created, along with a series of principles that would help prioritize future development to suit the community’s long term livability goals. Three themes were established – Upper Lawrenceville as an affordable and authentic place to live, a place where people make (and grow) things, and recreational amenities that attract visitors who are inclined to stay as residents – and from those themes, six programs were identified that would be essential to create a place where people wanted to live, work, and play. JURY COMMENTS: This study is a really comprehensive look at the existing residential fabric with a strong point of view towards handling growth. It is very well presented, attuned to the existing scale, and very sensitive to the needs of existing residents. DESCRIPTION: After an exhaustive facility study of three flood-damaged worship sites, the majority of the parish properties were closed while the historic Saint Luke’s church site was renovated and expanded, creating one central worship location. This site was designed to become an entire religious complex with room for education, socializing, and prayer. JURY COMMENTS: This project is a clear strategic idea about how to engage the street and create a new presence for the church in the community. DESCRIPTION: After losing their community hospital, the Borough of Braddock looked to create affordable multi-family housing on its site. Located on a steeply sloped terrain, 24 town homes and apartments were built to initiate a master plan for the new town center. JURY COMMENTS: With this development, the architects knit together the community, helping to heal the wound created by the demise of the hospital. Organized around a new public space, the jury liked that the building design puts a lot of entrances on the street and enhances the pedestrian activity. 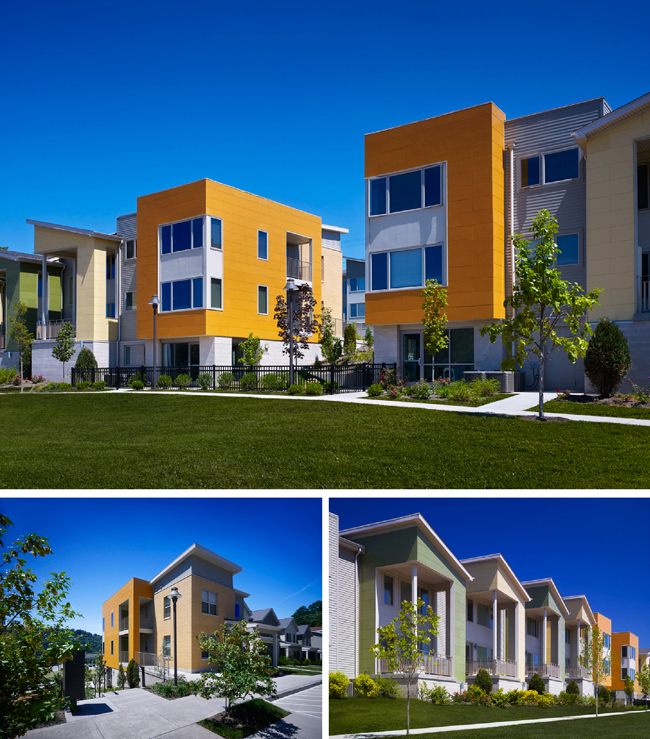 The architects should be applauded for their bold moves that led to an attractive and well-scaled subsidized housing community. DESCRIPTION: Like much of the neighboring architecture that resides in the Schenley Farms National Register Historic District, the Pittsburgh Board of Public Education Building was designed in the Beaux Arts style, completed in 1938. The building is an example of Italian High Renaissance palace architecture including four stories, widely spaced fenestration on the exterior elevations, and a well-lit interior courtyard. JURY COMMENTS: This is a wonderful example of the City Beautiful movement, which characterizes the Oakland neighborhood. It is a handsome civic building that is nicely scaled. It is very unusual in this day and age to see a building still used for its original purpose. What is there not to like? DESCRIPTION: Pittsburgh’s waterways are not polluted because of our industrial past, but because our antiquated infrastructure causes 16 billion gallons of wastewater to overflow into the city’s rivers every year. The built-up shoreline forces rainwater runoff directly into the waterways, and the lack of green space at the rivers’ edge allows for limited natural filtration. There is increased public access and interaction with the riverfront, but recreationalists lack awareness of the unhealthy state of the rivers. As an intervention, the Clean Water Workshop provides a place where every day recreational activities aid in the filtration of rainwater runoff. Collective individuals and teams power a variety of resistance machines to generate the energy used in the water filtration process. To carry out this mission, the highly visible urban void beneath the Tenth Street Bypass will be utilized, as it is a place where a dense roadway system meets a high volume of pedestrian traffic. 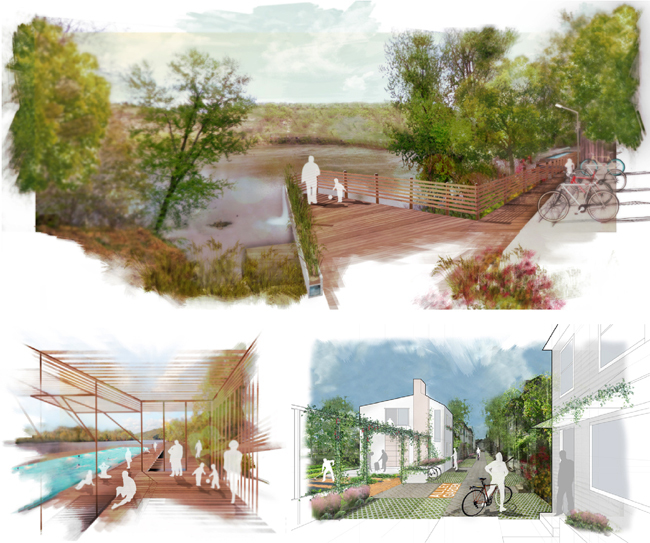 JURY COMMENTS: The jury selected this project because it addresses a real void with a real solution, addressing a need that exists both recreationally and environmentally. We need attention drawn to clean water and the solution engages the community. It achieves everything we want to do on our riverfronts and makes it fun to participate. This space is very bleak from the other side of the river, yet the solution makes all the space useable and beautifully conveys the aesthetic of Pittsburgh’s riverfronts at night. The project has a totally modern sensibility, done simply and practically, as a celebration of health. It is clearly presented and highly inventive. The graphics are superb. ARCHITECTURE FIRM: VEBH Architects, P.C. These are real “stunners” — lots of variation in design, light and airy feel. 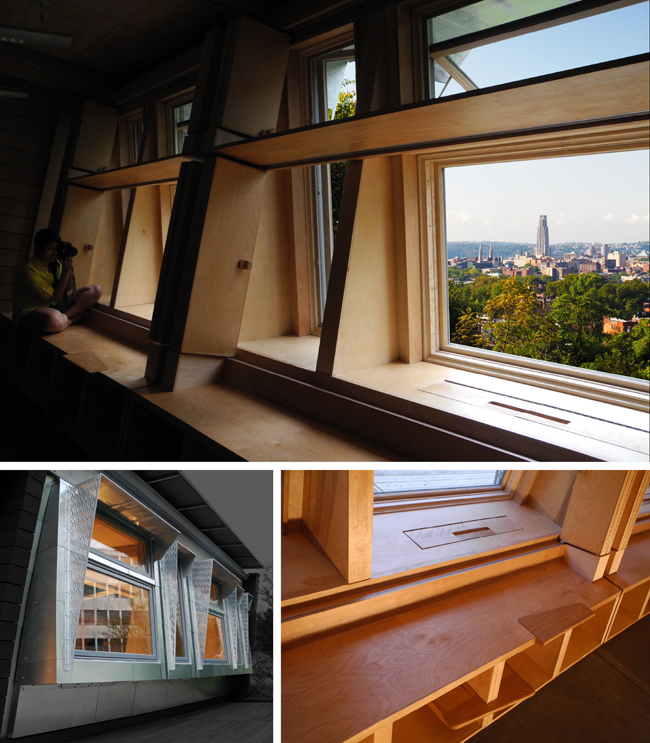 Pittsburgh has an architectural edge worth celebrating as you do with Design Pittsburgh! 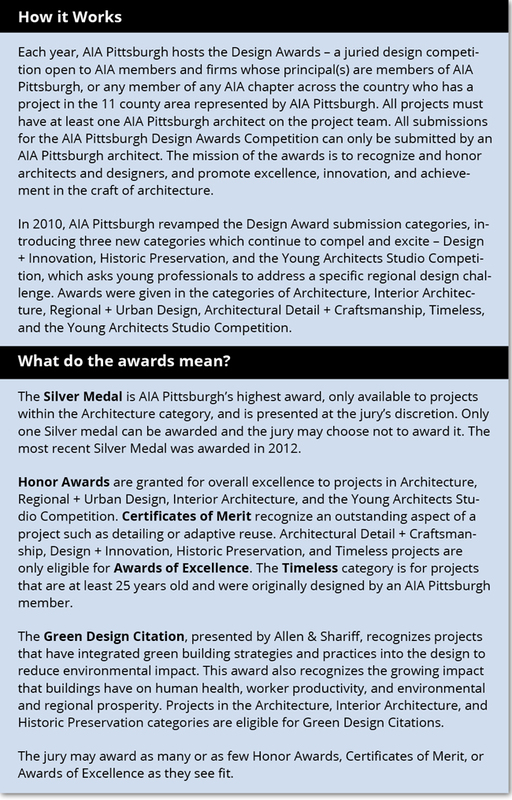 Congratulations to AIA and its members.